The SUPER SEED range of particles are cooked in the can for sealed-in freshness. The unique cooking process retains all of the essential oils and natural attractants that are so appealing to fish and with NO PRESERVATIVES makes for a truly wonderful ready to use bait. Our finest grade A seed is top quality and it shows! Our massively popular Super Seed range has grown! Huge demand has led us to expand the family with the new super productive Super Seed Aniseed. Aniseed has long been recognised as a top roach attractor but the benefits don't stop there -carp of all sizes as well as barbel and bream are now showing an addiction to the flavour. Eight different particles make up the long-standing & highly trusted Parti Mix to keep fish rooting in your swim for extended periods of time. Chilli flavour adds another twist to our natural hemp to offer the angler an alternative on waters where unflavoured hemp has been used time and time again. Chilli flakes fire up any carp's taste buds while the aniseed version brings a lesser known but highly successful additive to the fore. All offer the ultimate in user-friendly ready to use baits. 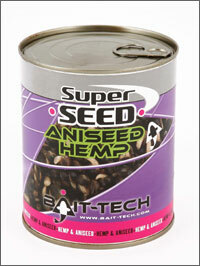 Bait-Tech Super Seed - the best for a reason! No Preservatives, No Chemicals, No Nonsense! Quality bait in the freshest form! 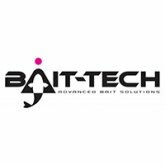 Bait-Tech Super Seed particle range has long been recognised as THE best prepared particle range available. With so many other prepared particles available, why is ours so good? The answer lies with the unique process in which the Super Seed range is produced. Firstly the product; we only use the finest grade A seed in our products. There is no scrimping and saving on below par seed, this is the best quality available. Preparing and producing the Super Seed: This is meticulously done by our experts. The seeds are actually cooked in the cans and pouches, (something not many others can claim) this means you are guaranteed to have a product that oozes freshness with all the natural flavours, oils and attractors still in the can and immersed into each and every seed. The importance of fresh particles is absolutely key. With none of the goodness lost there is maximum fish attraction with NO chemical compound or preservative. This is as natural a bait as you will ever see. Other claims of 'PVA' friendly prepared particles are precooked and then covered with a chemical preservative to give 'shelf life'. There is simply no mistaking the real thing. Fish adore the fresh qualities our bait provides and the catches taken on it are proof enough. Don't believe us? Check it out for yourself... fish them side by side and see what happens. 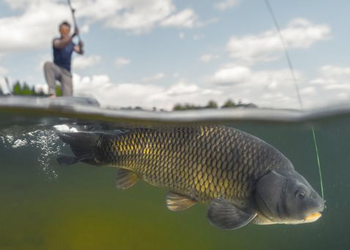 You will find that the chemically covered baits will actually repel fish instead of attracting them.